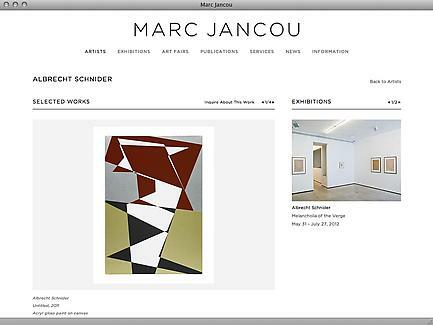 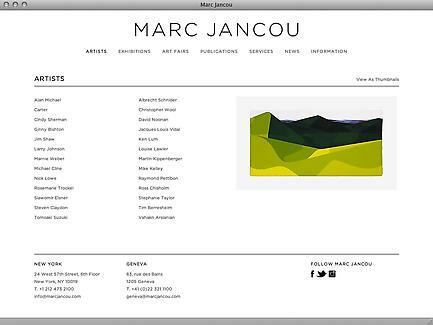 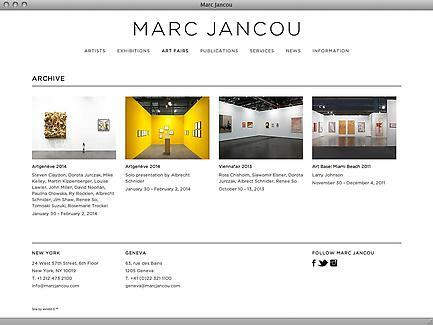 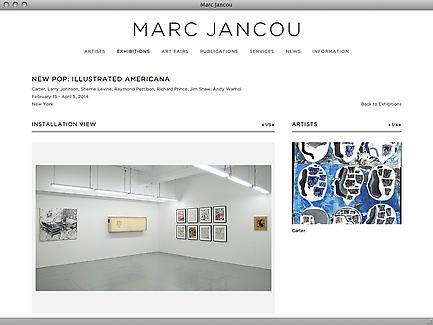 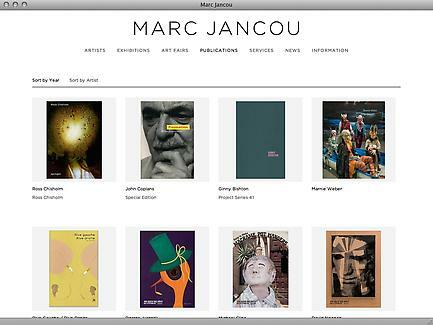 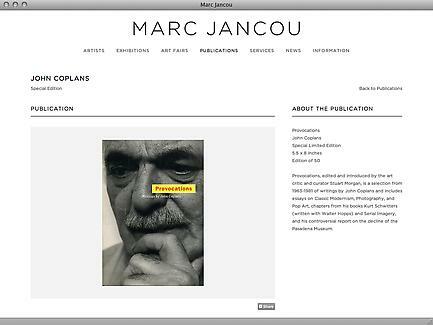 Marc Jancou Contemporary was established in 2003 in New York, in order to serve as a resource for emerging and mid-career artists and collectors of their work. 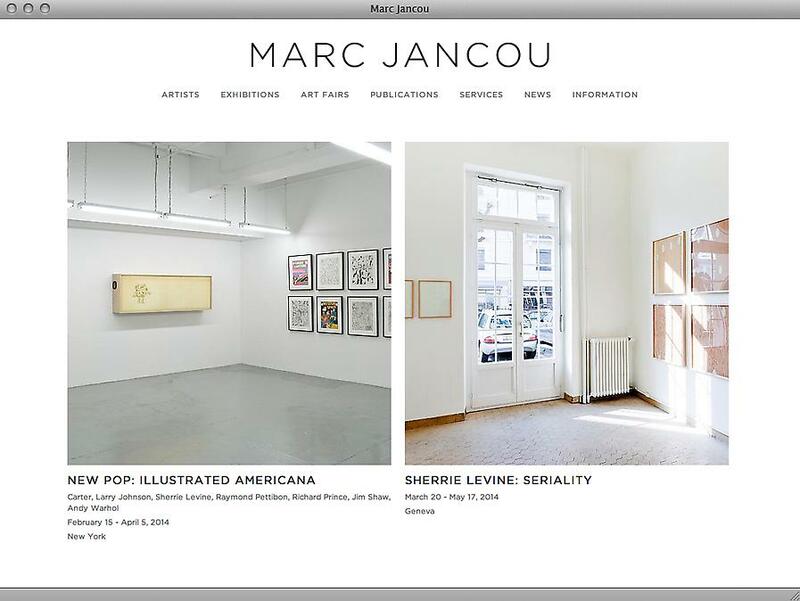 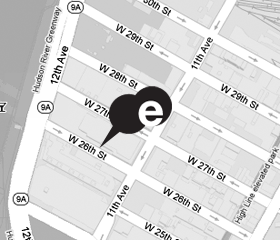 The gallery has presented solo exhibitions by artists such as John Miller, Mike Kelley, and Larry Johnson. 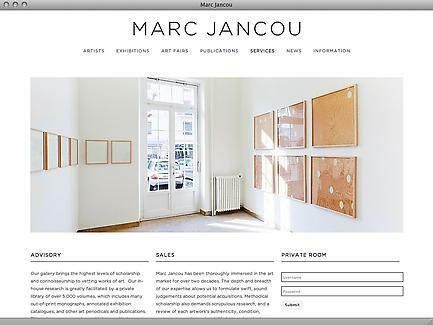 A second exhibition space opened in Geneva in 2011 in the heart of the city’s art community, the Quartier des Bains. 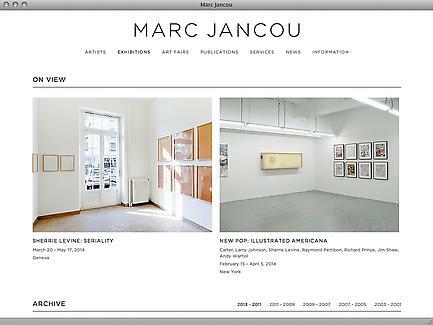 Marc Jancou Contemporary aims to foster a trans-Atlantic creative dialogue and serve as a cultural bridge between New York and Geneva.